Like an ancient river, Daoist traditions introduced from China once flowed powerfully through the Japanese religious landscape, forever altering its topography and ecology. Daoism’s presence in Japan still may be discerned in its abiding influence on astrology, divination, festivals, literature, politics, and popular culture, not to mention Buddhism and Shintō. 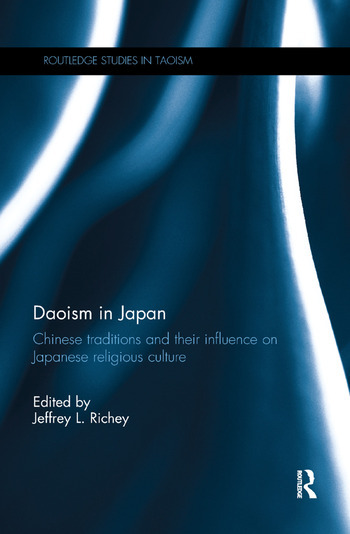 Despite this legacy, few English-language studies of Daoism’s influence on Japanese religious culture have been published. Daoism in Japan provides an exploration of the particular pathways by which Daoist traditions entered Japan from continental East Asia. After addressing basic issues in both Daoist Studies and the study of Japanese religions, including the problems of defining ‘Daoism’ and ‘Japanese,’ the book looks at the influence of Daoism on ancient, medieval and modern Japan in turn. To do so, the volume is arranged both chronologically and topically, according to the following three broad divisions: "Arrivals" (c. 5th-8th centuries CE), "Assimilations" (794-1868), and "Apparitions" (1600s-present). The book demonstrates how Chinese influence on Japanese religious culture ironically proved to be crucial in establishing traditions that usually are seen as authentically, even quintessentially, Japanese. Touching on multiple facets of Japanese cultural history and religious traditions, this book is a fascinating contribution for students and scholars of Japanese Culture, History and Religions, as well as Daoist Studies. Jeffrey L. Richey is Associate Professor of Religion and Asian Studies at Berea College, USA, and the author of Confucius in East Asia: Confucianism’s History in China, Korea, Japan, and Viet Nam (2013), among other works on East Asian religious history.